The local 2014 Amelia Island Concours d`Elegance has welcomed the arrival of the Lamborghini Huracan on the Northern American territories. 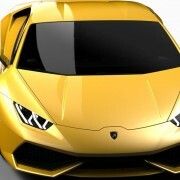 The Lamborghini Huracan was introduced by Stephan Winkelmann, the CEO at the Italian supercar, who reported that more than 300 units have been already pre-ordered in the US, long before the official launch of the Huracan. The event held at the Concours d`Elegance is a testimonials of the well-received model, especially with the enthusiasm being recalled back at the Geneva Motor Show, where the Huracan was officially unveiled to the world. The Lamborghini Huracan is made almost entirely out of carbon fiber, the supercar being lighter and more rigid than the Gallardo model. Under the hood, the supercar version is equipped with a powerful 5.2-liter V10 units, developing an impressive 602 ponies and 560 Nm of torque. 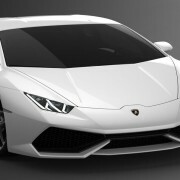 The Huracan has a top speed of 325 km/h. As for the prices involved for this model in the US, no details are yet to be confirmed. But we will be able to tell you more on that in the upcoming weeks, when the car will reach the US showrooms.